Another day, another sweet deal on Samsung's hot new Galaxy S10 lineup. This one is set to expire at the end of the day, mind you, so you don't have a lot of time to visit a Fry's Electronics brick and mortar store and pull the trigger at a substantial $300 discount. Obviously, there are a couple of strings attached and some key requirements you need to consider before throwing your money at your local Fry's sales representative. Namely, the special offer is exclusively available with new AT&T line activations and monthly installment plans. All in all, you're looking at paying $600 instead of $900 for a "regular" Samsung Galaxy S10 with a 6.1-inch display, a single front-facing camera, and a 3,400 mAh battery. You can opt for 30 monthly payments of $19.96 or a two-year commitment with $24.45 installments, compared to the phone's typical rates of $30 and $37.50 with 30 and 24-month AT&T Next agreements respectively. It's not entirely clear if the $300 savings are "instant" or offered as monthly bill credits and we also don't know if Fry's Electronics has similar deals in place for other members of the S10 family. 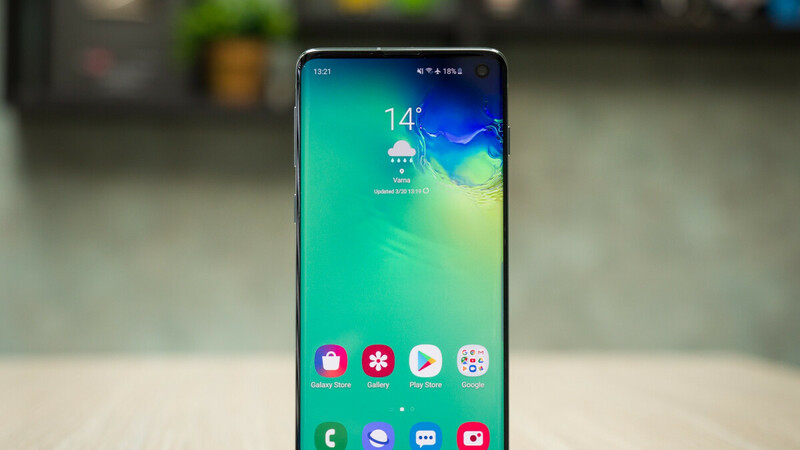 For 600 bucks overall, you'll be getting an entry-level Galaxy S10 configuration with 128GB internal storage space, but the upper-tier 512 gig variant is most likely on sale as well, since Fry's lists prices "starting" at the aforementioned reduced values. While the $900 6.1-incher is normally sandwiched awkwardly between a much cheaper Galaxy S10e and a vastly superior S10+, this $600 price arguably makes it a must-buy... if you don't have a problem with device payment plans and new AT&T line activations. The processor is blazing fast, the screen crazy sharp, and the triple rear-facing cameras incredibly versatile, while the in-display fingerprint sensor... could be better. AT&T? Puuuullliiiiiizzz! I won't even touch it with a 10 foot pole.